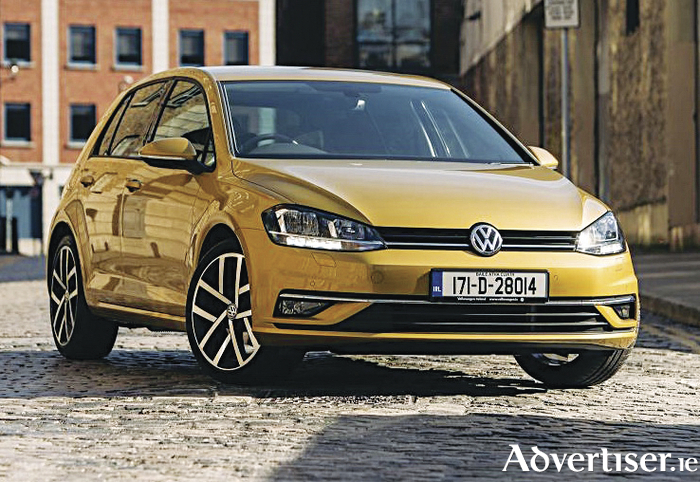 The updated Volkswagen Golf has gone on sale with a starting price of €20,895 and it features revised styling, more technology, improved connectivity and a revised engine line-up. More than 136,000 Volkswagen Golfs have been sold in Ireland since it was launched, and more than 33 million worldwide. The Golf has always been about bringing the best in quality and innovation to the masses and with this latest Golf this is no exception. LED rear lights are now standard across the range and most models across the Golf hatchback and estate models are offered with a new generation of larger and more sophisticated touchscreen infotainment systems. The new Golf is heavy on technical innovation with the new Discover Navigation Pro radio-navigation and online system featuring gesture control. This system features an impressive 9.2-inch screen and sits alongside the Active Info Display, also new in the Golf and which is standard on all Highline and Performance Golfs. There is also a larger range of online services and apps available. The Irish line-up retains the now-familiar Trendline, Comfortline and Highline specification with the majority of customers now opting for the Highline specification thanks to Volkswagen’s innovative staggered APR which is 5.9 per cent on Trendline, 3.9 per cent on Comfortline and just 1.9 per cent on Highline, GTI, GTD and R models, making it easier and more cost-effective for customers to choose the highest-spec Golf model. Continuing with the theme of offering better value for money, Volkswagen says it is also offering a series of Innovation Packs, which bundle some of the most popular and attractive options into cost-saving packages, saving customers €1,100 over the individual items within the current 171 offer. On the Trendline models - the €399 Innovation Pack offers 15” Lyons alloy wheels, front fog lights and cruise control, saving the customer €725. On the Comfortline the €399 Innovation Pack offers park distance control, high beam “light assist”, a light and vision package and folding mirrors, saving the customer €880. In Highline, GTI, GTD and R models, the €599 Innovation Pack bundles discover media, high beam “light assist”, rear-view camera and the winter pack with heated seats, saving €1,100. There is also a ‘reduced price service offer’ and ‘half price R-Line exterior offer' on the updated Golf.